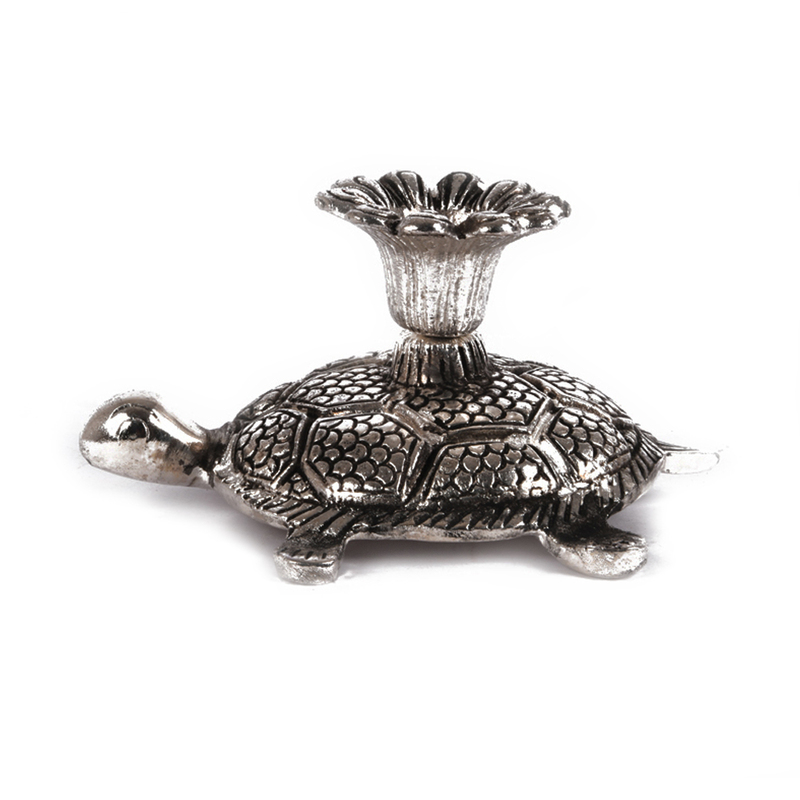 The tortoise candle stand is made entirely out of oxidised iron, which means that this product will go on for a very long time without Read More..corroding, or even tarnishing. 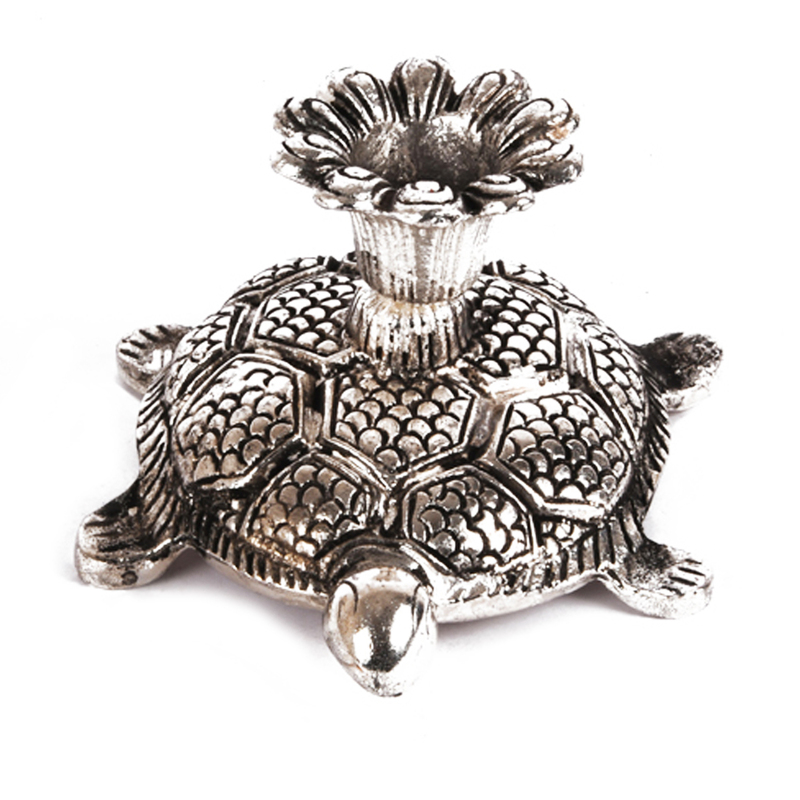 The shell of the tortoise is beautifully engraved, and the design makes it a pleasure to look at. The head of the tortoise is kept small and compact so that it may not protrude out too much. 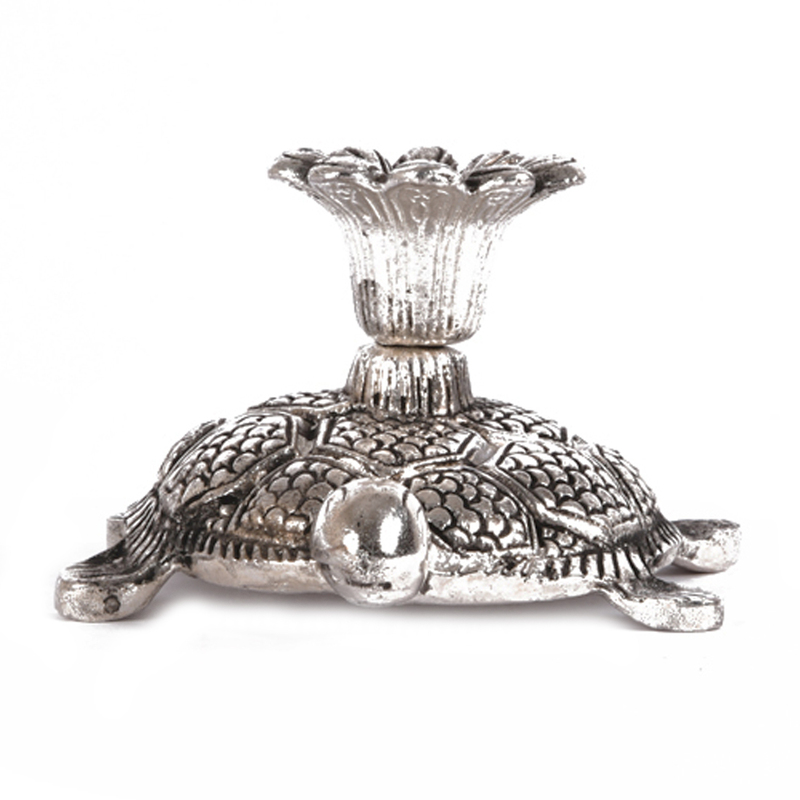 The ffet of the tortoise act as the supports, and the candle holder is placed directly on the back of the shell of the tortoise figure. Show Less..